I’ve most definitely struggled over the years with wanting to be there for my kids but also wanting to be my own business woman. They are two totally different roles and so many Moms today have both in their lives. In fact, I can’t think of many people who don’t raise their kids along side having some sort of job or hustle on the side. We’re over-achievers – we aspire to be rock stars at both and that’s okay. That’s the way it should be! It ain’t your Mama’s decade anymore. Today’s modern Mom does it all. It’s a delicate balance for sure but owning both of those jobs like a boss is definitely within everyone’s reach. 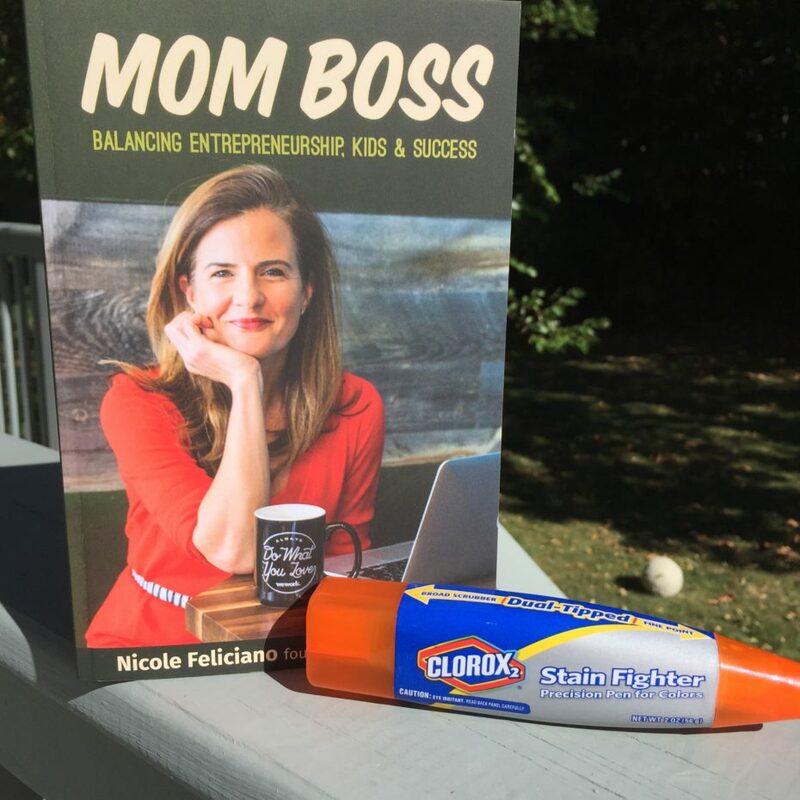 Nicole Feliciano is a blogger friend who is not only doing it but is inspiring to all Moms: she’s built a successful business while doing her Mom thing. 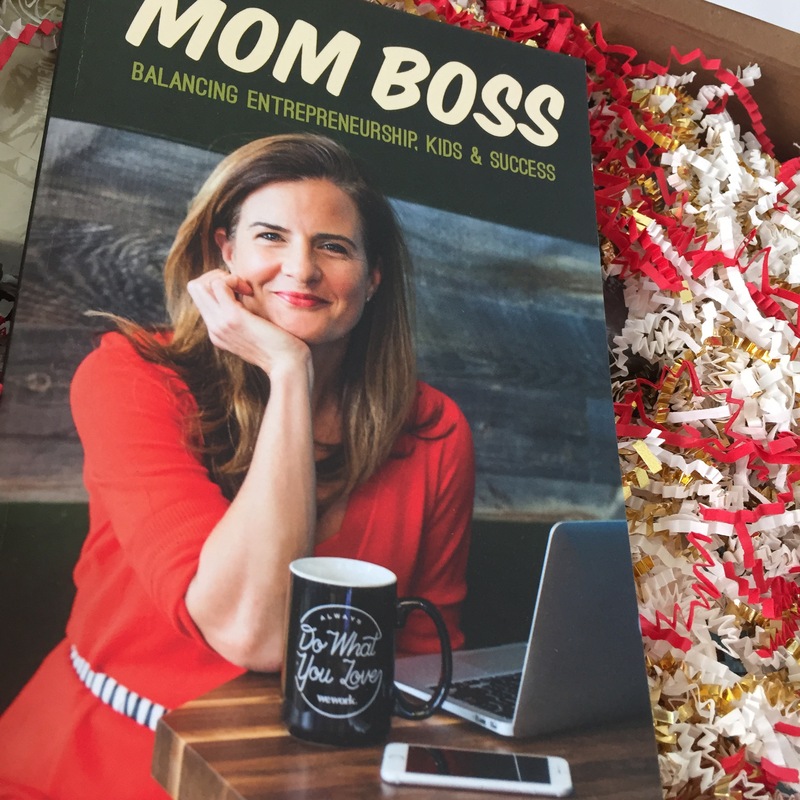 She’s sharing her wisdom and her secrets to success in her recent book release: Mom Boss: Balancing Entrepreneurship, Kids & Success. She takes you through a step-by-step on how you can balance it too. Her book takes us through stories of other Moms, Mom Boss tips for making things easier and key ideas to help you find your groove. It’s truly a great read whether you are just starting out with your own business or a seasoned veterans. We can all stand to learn at any time in our lives! Mom Boss has a bunch of great supporting partners that are brands and products that help make your life a little easier. One of them is Clorox, which helps you clean like a champ and retain your status as Mom Boss. I know for me, time management is one of the key pieces to being accomplished at both jobs. Meaning, when I’m cleaning my house, I need products that get it done efficiently and quickly. The Clorox 2 Pre-Treat Stain Remover Pen is specially designed to pre-treat stains on colors, and features TripleSolve Technology to penetrate, dissolve and eliminate tough messes. We also use Clorox Disinfecting Wipes DAILY. I use them for counters & all sorts of other messes. Primarily, I actually use them to clean up cat puke. I know, it’s gross but true. I have one who has a hair ball issue and she *always* manages to find the carpet and not the wood floors. Clorox Disinfecting Wipes pick everything up, including any possible stains. They also help remove germs, bacteria, kitchen grease, and countless other nasties you find lurking in your home. The Zotos Professional 180 Pro Miracle Repair Damage Eliminator serum: My hair is smoother thanks to the Zotos Professional 180 Pro Miracle Repair Damage Eliminator serum. You leave it in after shampooing and your’e good to go. The difference is pretty great. Rayovac Power Protect: this nifty little power back is an awesome back up for my phone. Love having extra battery life on the go. Magicsuit swim: no one’s ever going to turn down looking 10lbs lighter in a bathing suit! 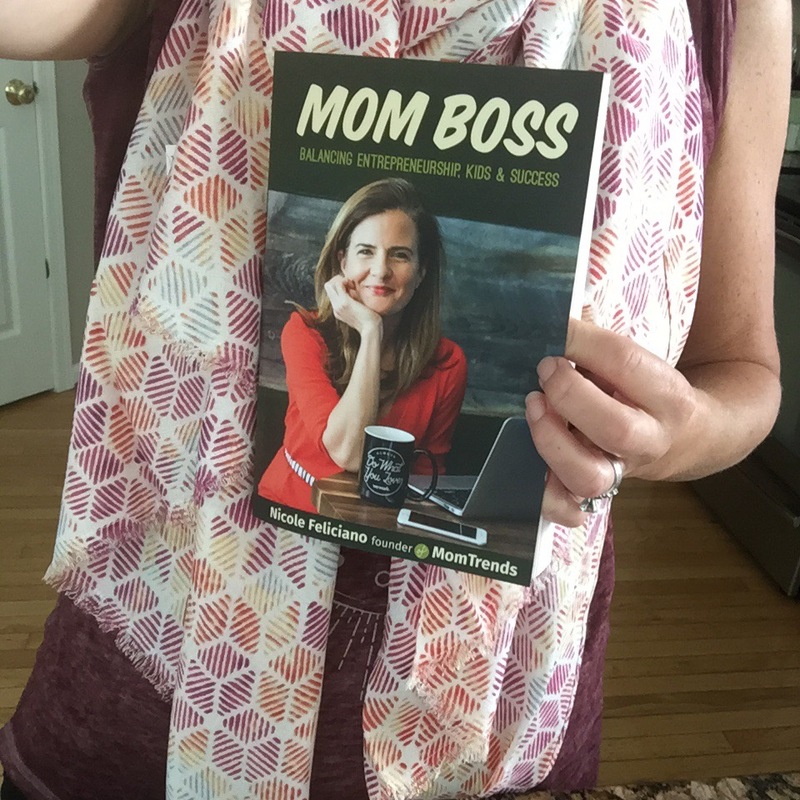 Here I am rockin’ my copy of Mom Boss and wearing a gorgeous scarf from CAbi. Disclaimer: Compensation was provided by Momtrends Media. The opinions expressed herein are those of the author and are not indicative of the opinions of Momtrends or the sponsors.